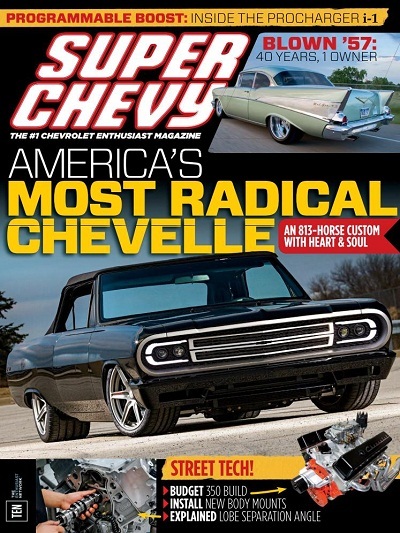 Marvin Meyers 57 Chevy in Super Chevy magazine. They misspelled Stainless Trim Works, lol. I put a lot of time into this set of trim, he wanted top quality. This is a unique and very beautiful Car, thank you Marvin for letting me do the trim for you. 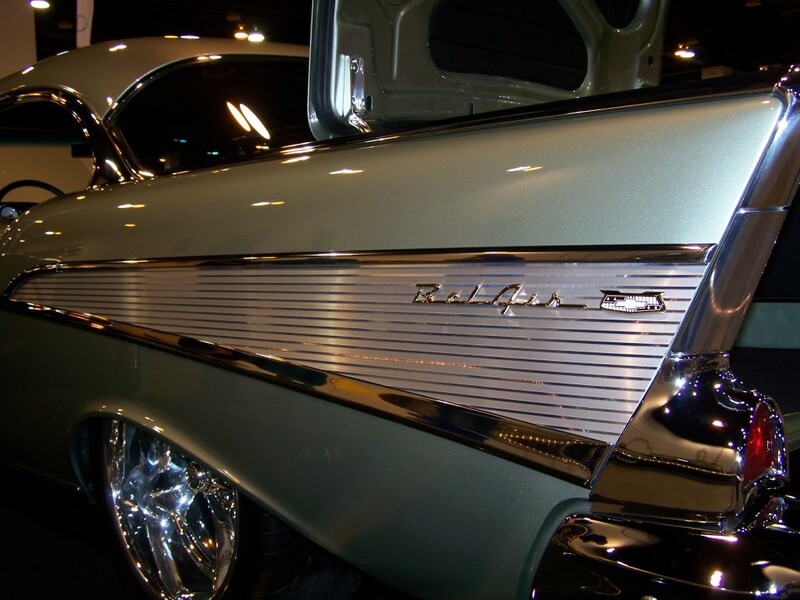 Marvins son Wade did the interior trim polishing as well as some of the gear for displaying the car at shows, the stanchions and some other stuff.